Well I've been able to work on my swap a bit in the last month and I finally got most of the engine done. 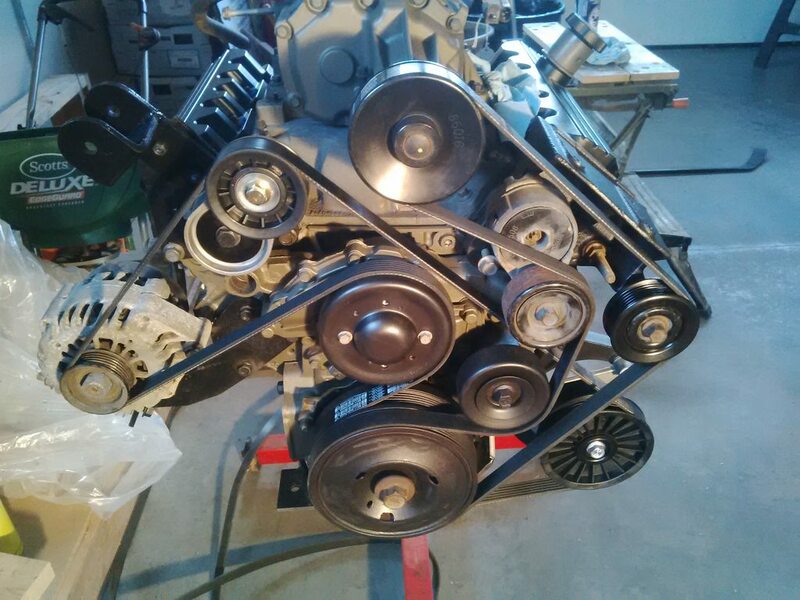 Just mocked up the belt pulleys and low mount engine set up I got from Fierorog. Still got a few things to paint on the engine yet, just wanted to make sure everything fit. Yeah just swapped the valve cover today actually. Yeah I bought the complete gasket kit from top to bottom. The only thing I didn't do is pull the bottom end apart ie: bearings, rings, pistons.